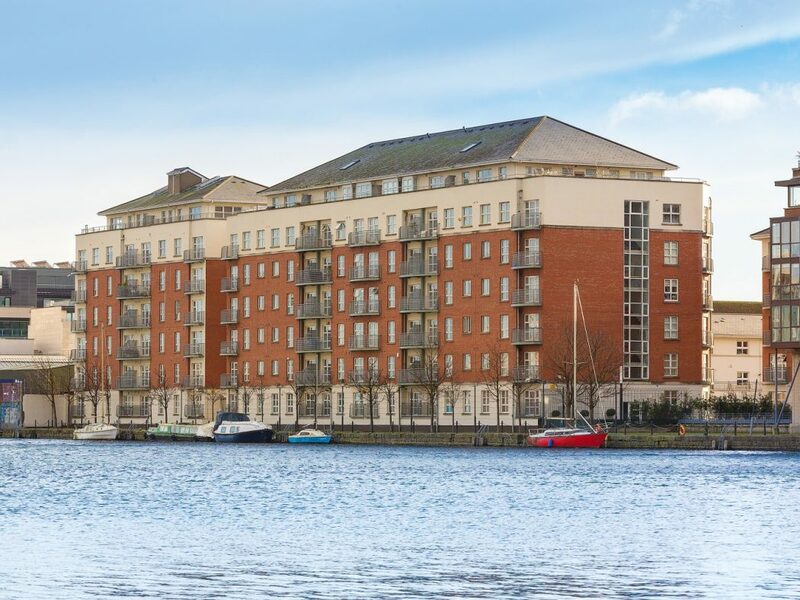 An attractive, first floor, two bedroom apartment and a prime location combines in the hugely sought after Waterside development at Grand Canal Dock next to the new Google Campus at Boland Quay. 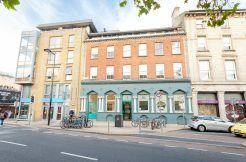 This dual aspect property benefits from secure car parking and would suit a first time buyer or an investor given the proximity to amenities, the city centre and large employers. 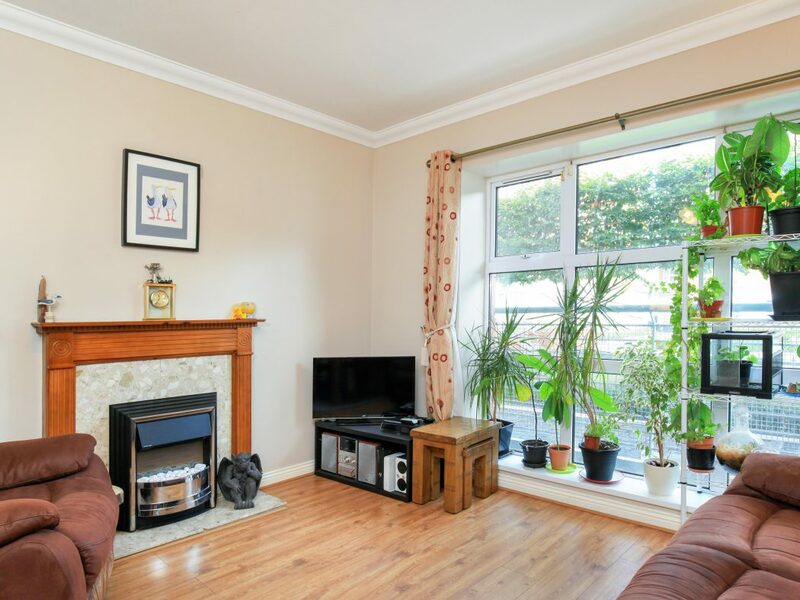 The interior briefly comprises a spacious entrance hallway, open plan living/dining room overlooking the internal garden courtyard which has been recently upgraded, fully equipped kitchen, two south facing double bedrooms with built-in wardrobes and a recently upgraded bathroom with a large walk-in shower. 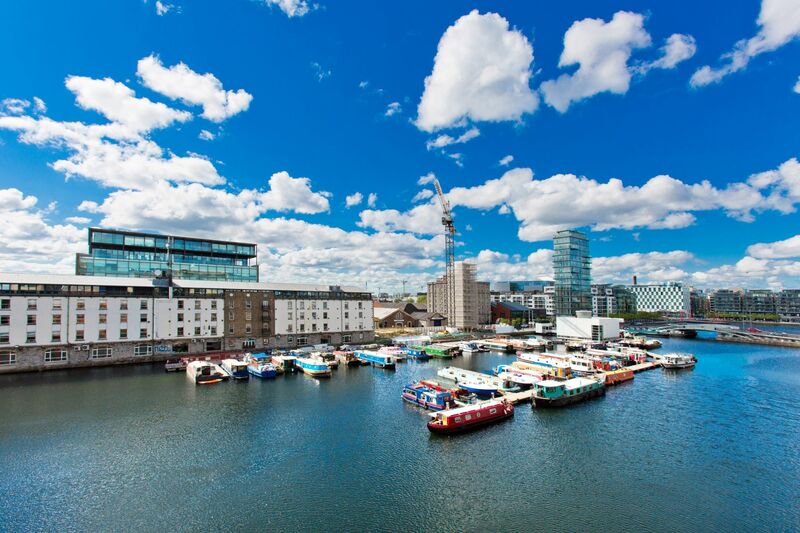 The dynamic neighbourhood of Grand Canal Dock is home to many large multinational organisations as well as indigenous firms and offers a wide range of sporting and social activities. 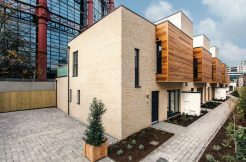 The development also benefits from newly landscaped gardens, a pedestrian gate onto the waterfront and a resident’s rooftop garden. 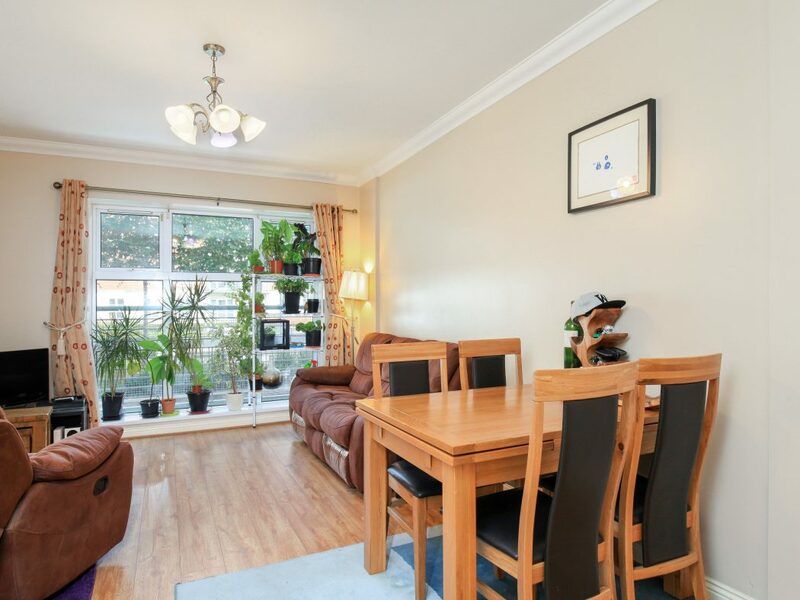 This is a vibrant location on the doorstep of the city centre with an abundance of sports clubs, gyms, cafés, restaurants and bars on offer. 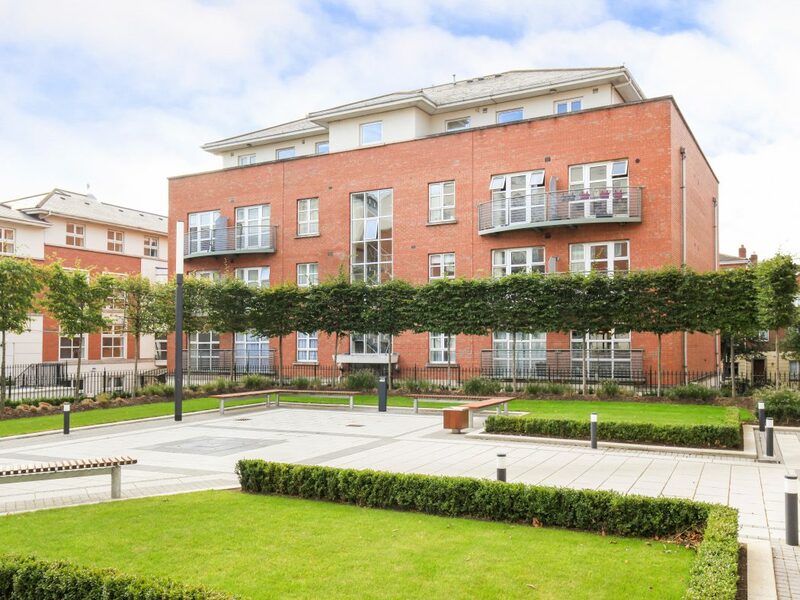 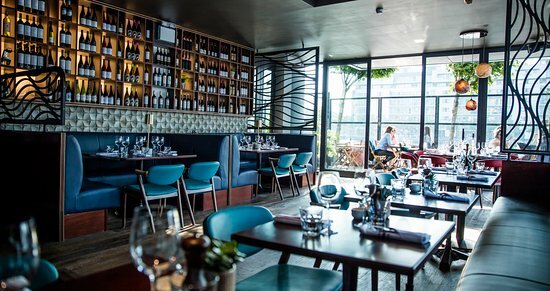 The area is well served by local bus routes and Grand Canal Dock DART station on Barrow Street is a few minutes’ walk away. 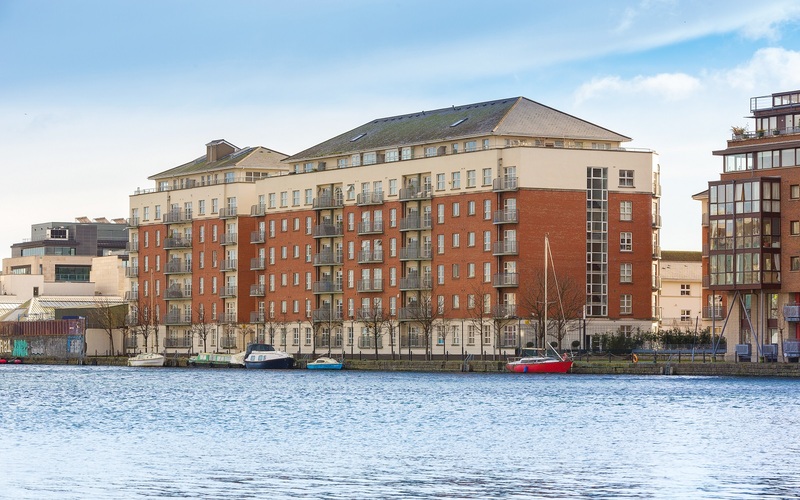 Some of Dublin’s finest entertainment venues are all within walking distance including The Bord Gais Energy Theatre, the Aviva stadium and the Convention Centre Dublin. 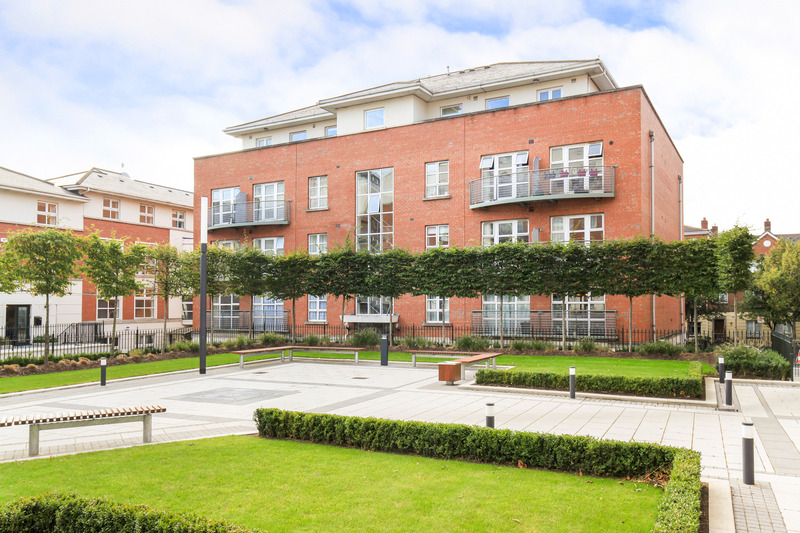 Grafton Street, St Stephen’s Green and Trinity College Dublin are all within a short walking distance. 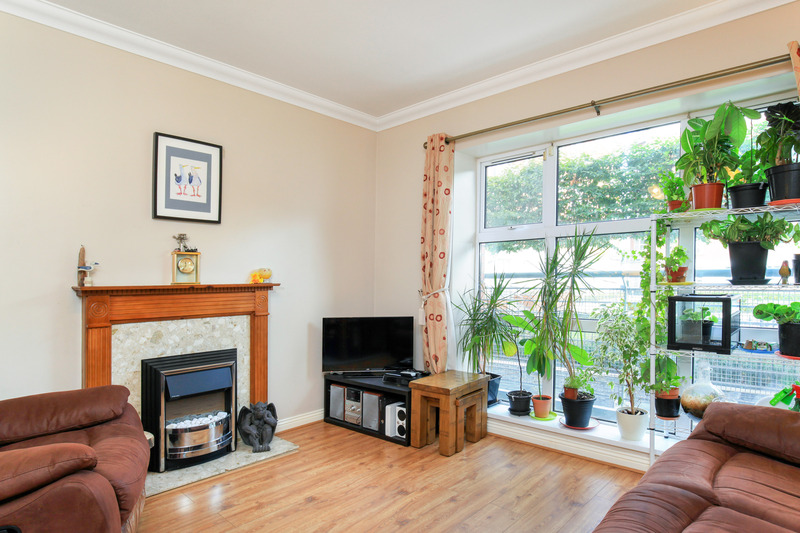 A very spacious entrance hall featuring timber floors, intercom, a hotpress and storage closet. 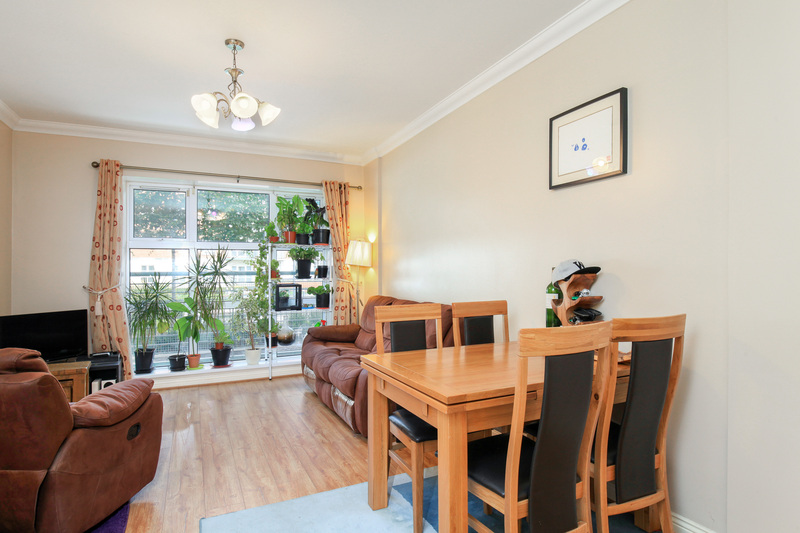 Open-plan living/dining/kitchen featuring timber floor and large floor-to-ceiling window over looking the internal courtyard gardens. 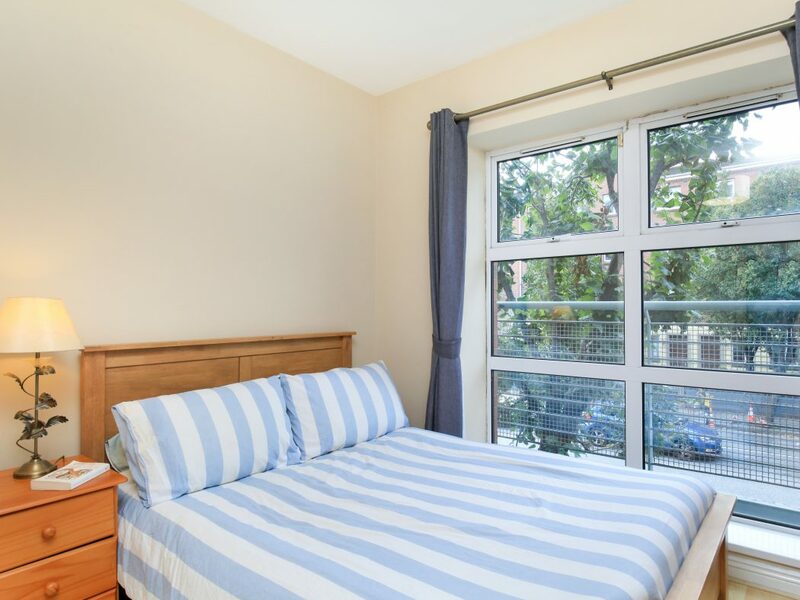 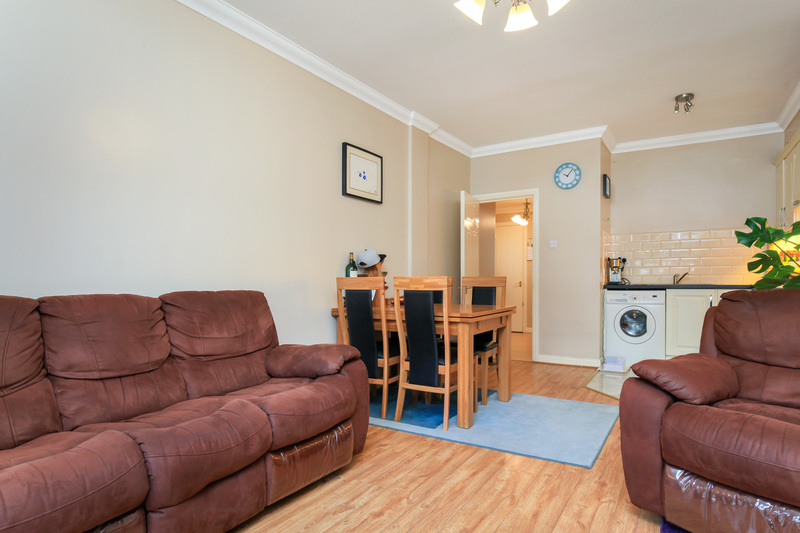 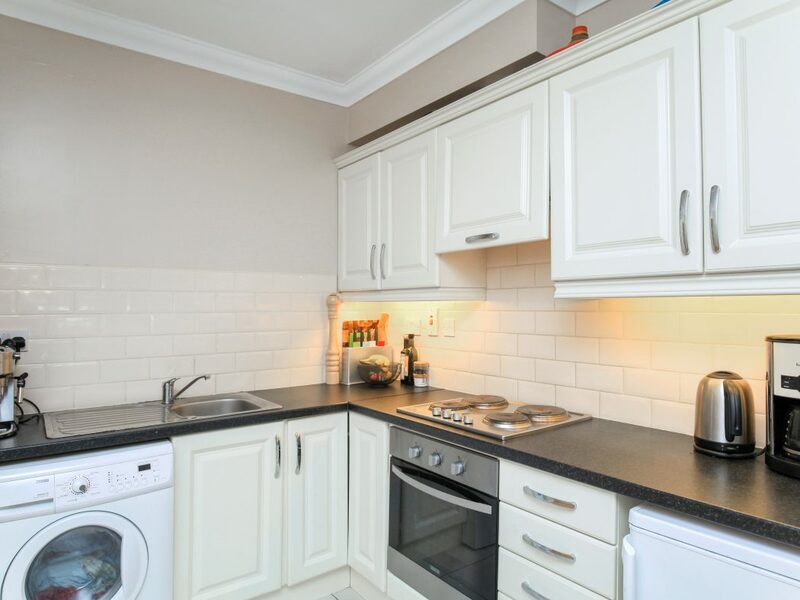 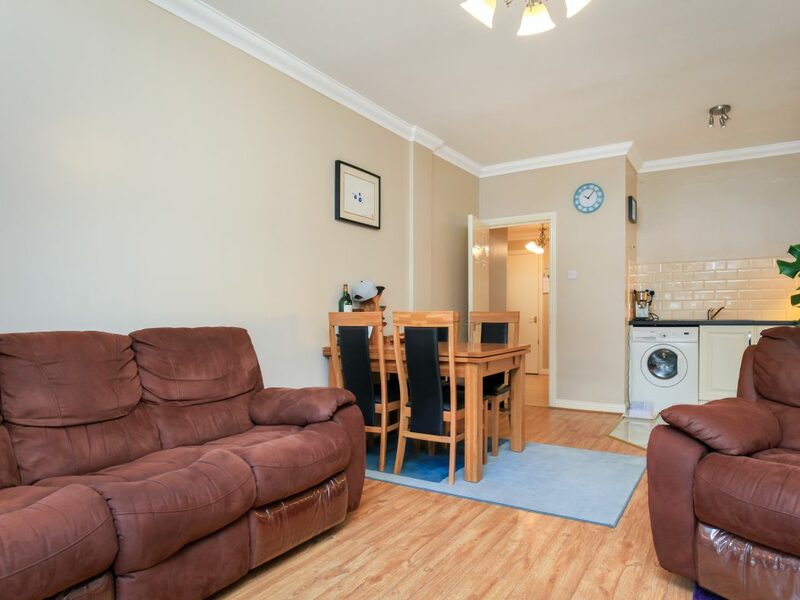 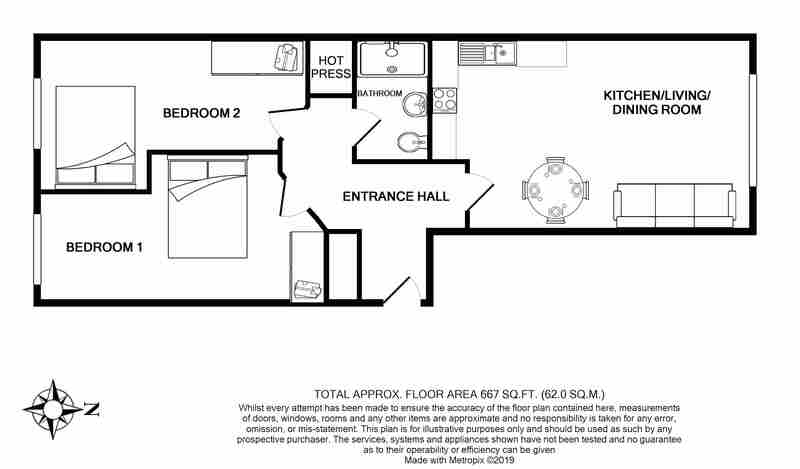 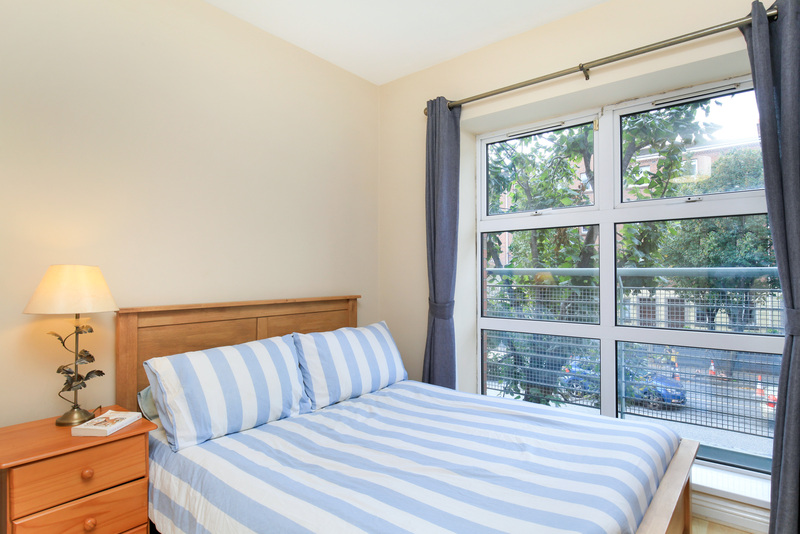 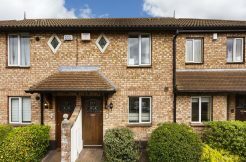 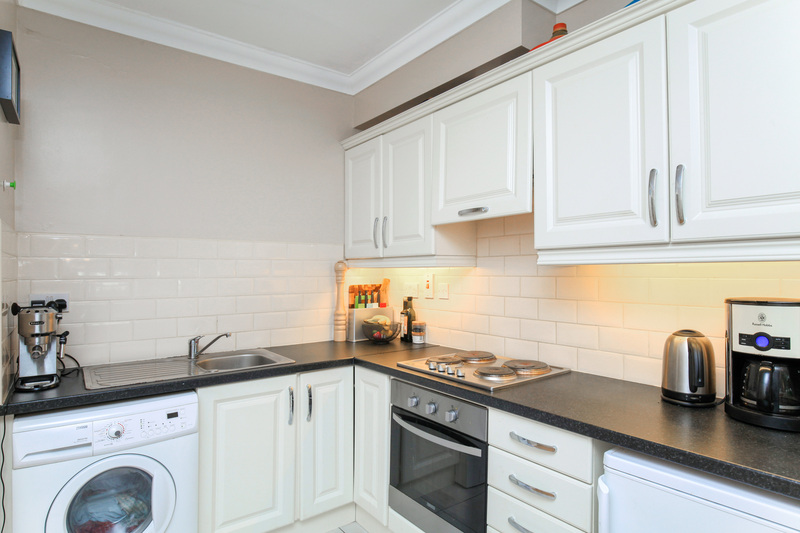 Spacious, south facing double bedroom with built-in wardrobes and timber floor. 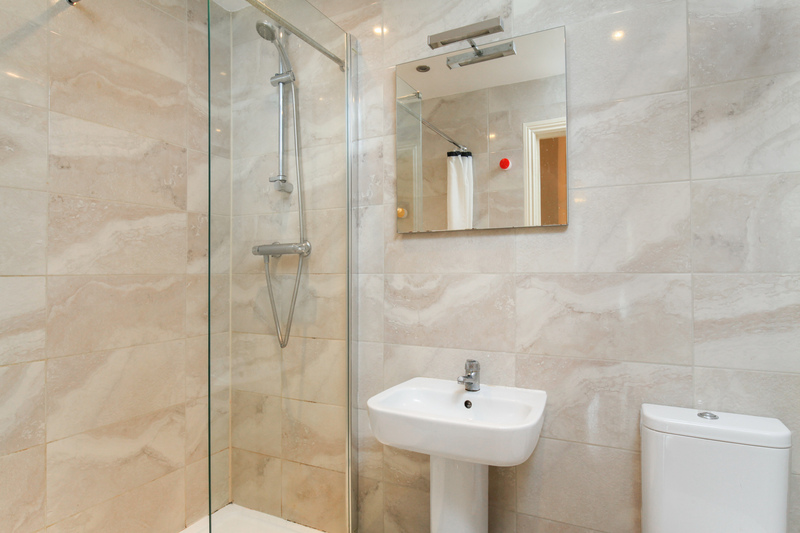 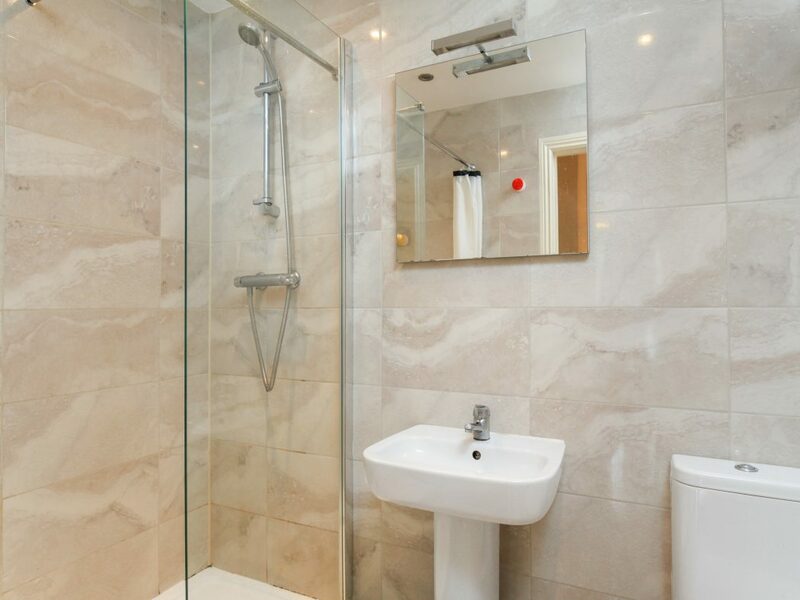 Fully tiled bathroom with large walk-in shower, WC and WHB.